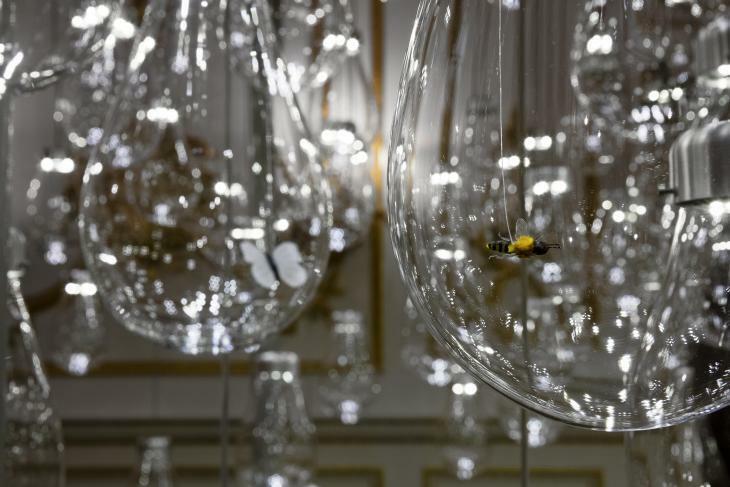 An interactive hanging garden of 250 handblown crystal bulbs and bugs (not real ones, obviously) that react to movement creates an ethereal and immersive exploration of sound and light in the V&A’s famous Norfolk House Music Room. Much of the beauty lies not only in the visual impression of the construction, but also the duality of simplicity, underlined with complex concepts. For example, instead of going for some fantastical imaginary crawlies, or the ‘oh my, aren’t butterflies pretty, let’s just stick with those’ angle and being done with it, the artists wanted to emulate 25 species of real insects, from the newly discovered, to the endangered and, of course, recognisable everyday. It gives the piece insight and depth — capturing the vast and varied aesthetics of nature. Each creature is handmade, each painstakingly detailed and designed using a range of fabrics to perfectly convey movement and sound, collectively ringing out clinks reminiscent of raindrops. 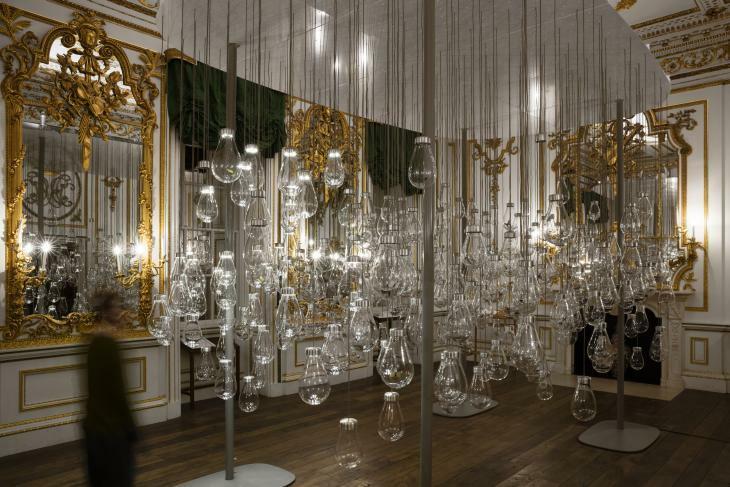 The work forms a part of the London Design Festival and is a collaboration between Viennese design duo mischer’traxler and Perrier-Jouët, the latter having a long history of arts patronage, commissioning bespoke arts pieces around the world. This commission, created under the umbrella theme of ‘small discoveries’, aims to illustrate the unique relationship between insects and the Art Nouveau movement. 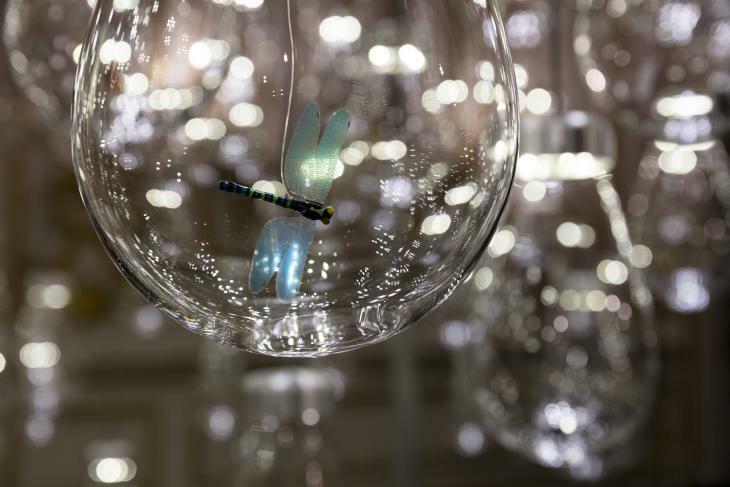 Much like the mayfly, its presence is fleeting, with a limited run at the V&A up until the end of Sunday 27 September. 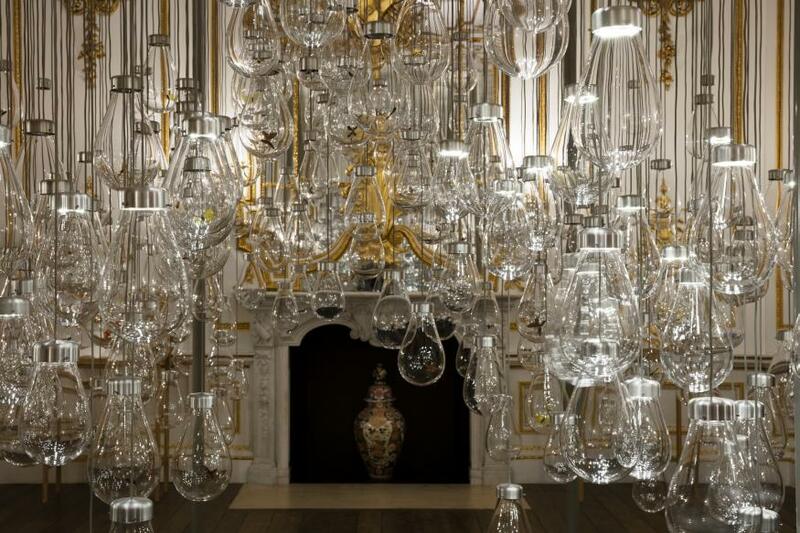 Read our top picks from the London Design Festival.